No longer a desk or a space, work is an activity. ​The evidence is overwhelming that how we work has a profound influence on our health & wellbeing, which impacts on our productivity. 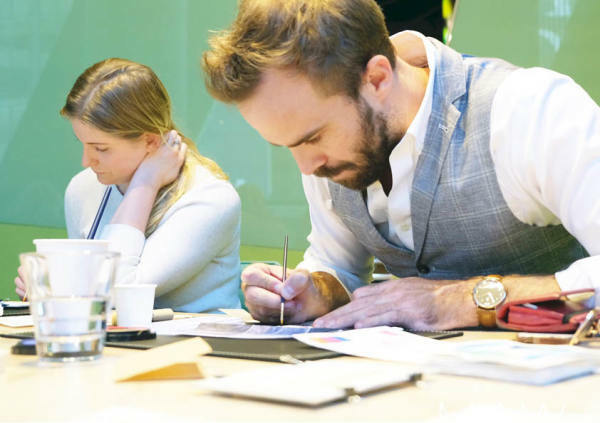 MAW CREATIVE start with you as an individual, and provide fun, healthy, convenient and tailored solutions to create wellbeing throughout your productive working day. You want your work day to be HEALTHY, happy and productive. You need solutions to be CONVENIENT in-house, targeted and accessible. You will invest in TAILORED and sustainable Workplace wellbeing solutions that can show RESULTS. Get in touch with us and we will design the work day you need to be and feel your very best. We encourage you to mix things up, try new ways of working and wellness through workshops and classess. It is fun and tailored to your budget, time and to your appetite for exploration. You are welcome to access these as single classes or as part of a extended program. We design, implement and maintain wellbeing strategies and programs. 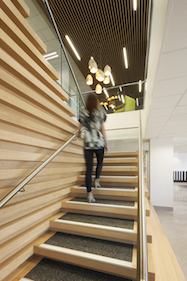 We also design spaces for wellbeing within your your new or existing workplace to allow you to create an environment that supports and encourages healthy work lifestyles. We get to know you to understand your business culture & style of work. We can measure and look at your current workplace wellbeing and productivity, and help you to discover and to plan for your goals and aspirations. Our passion is for creating wellbeing in your work day by aligning specific solutions with your needs and your style of working. Through a collaborative and creative process we will find the best solutions tailored to your business. We bring an approach that is deeply aligned to achieving healthy authentic experiences and environments that allow you to move, connect, rejuvenate and activate throughout the journey of your working day. The wellbeing initiatives that were designed and specifically tailored to our business culture and work-styles had the greatest participation & most positive feedback from our teams. The wellbeing program was fun and a huge success. 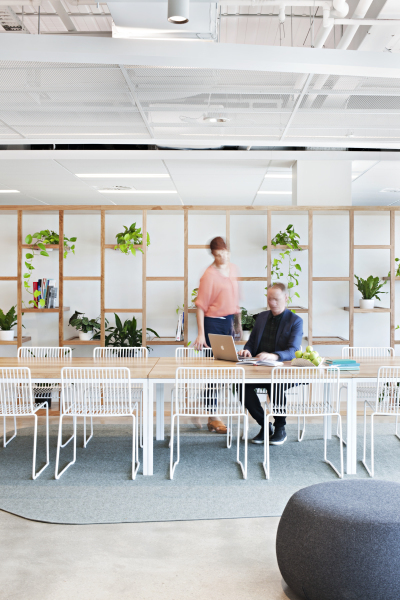 As an interior designer fortunate enough to work with local and international businesses I have seen first hand the vital connection between wellbeing & productivity. 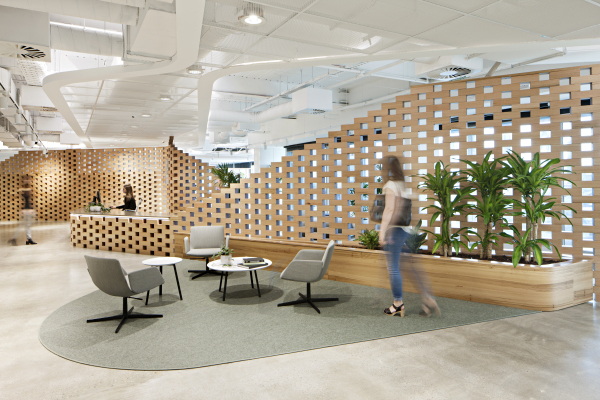 Debra has brought to our project and collaborative team: excellence in design, an understanding of the context of Collins Street and Melbourne culture, and a perspective people centric workspaces. Debra was instrumental in helping us establish our workplace goals. She really believed in the concept behind the design and her passion was contagious. How the design reflects our business culture and the integration of wellbeing in the design is a credit to her commitment. It is a pleasure to continue to work with Debra on our workplace design. The measurement on how it actually performs day to day with the post occupancy review gives us tangible evidence of what we have done well and where we can improve, and is the framework for our ongoing programs to support our Melbourne team. Debra Longin has been committed to our project from the first meeting through to completion, and her passion and dedication to this project is evident in the wonderful results. The materiality and the detailing of the foyer express our brand in ways we had not imagined. It is every bit as welcoming and inspiring as we had aspired for it to be. The stunning design of the arrival experience to our building demonstrates an indisputable understanding of Melbourne's iconic Collins Street Culture. This design completely exceeds our initial expectations and the positive response from our valued tenants and clients has been overwhelming. 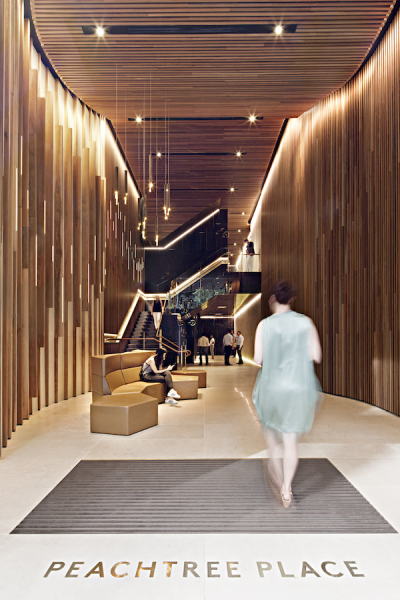 The Woods Bagot Melbourne Studio Wellbeing Program results were profound. 90% of the participants recorded a significant improvement in their own productivity and the ability to focus, and 80% an increase in creativity. We are very keen to share with you what we have learned from our experiences and successful outcomes. We would love to make your workplace happy, healthy and productive. Let us know what your interested in?